Bucherer is showcasing its entire line up of Blue Editions at a pop-up presentation in Zurich Airport and is making plans to bring the same concept to other global airports next year, according to a source close to the discussions. Bucherer Blue Editions were first created in 2016 when nine brands created 14 watches that all use the color blue in dials, straps or other details. 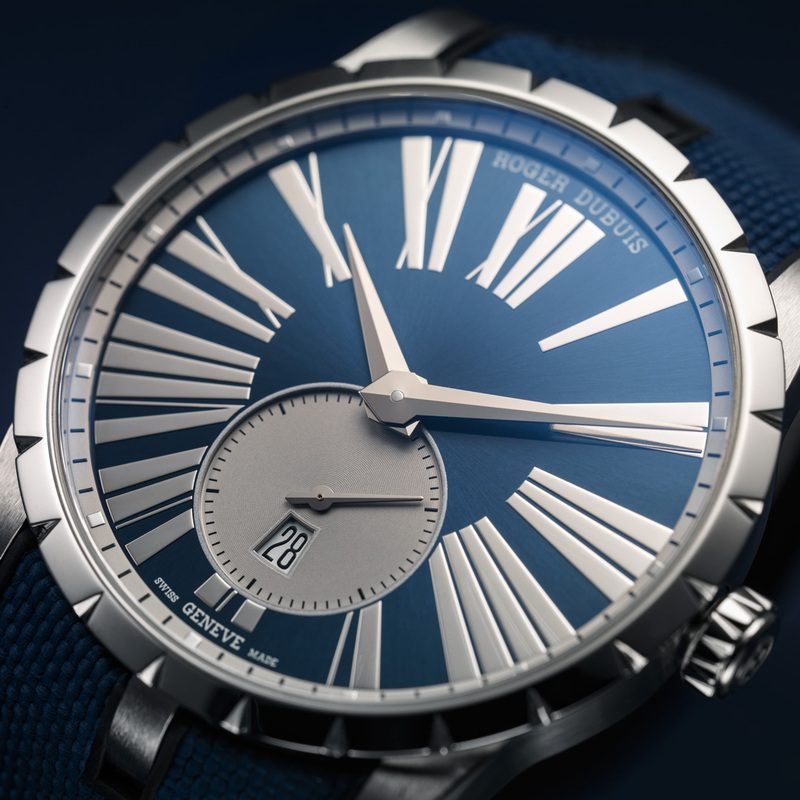 There are now 31 watchmakers producing Blue Editions, which are sold only in Bucherer boutiques around the world. Bucherer owns 32 Tourneau and Baron & Leeds stores in the United States. Changing those stores to become Bucherer stores that will be eligible to sell Bucherer Blue Edition watches will begin in 2010. 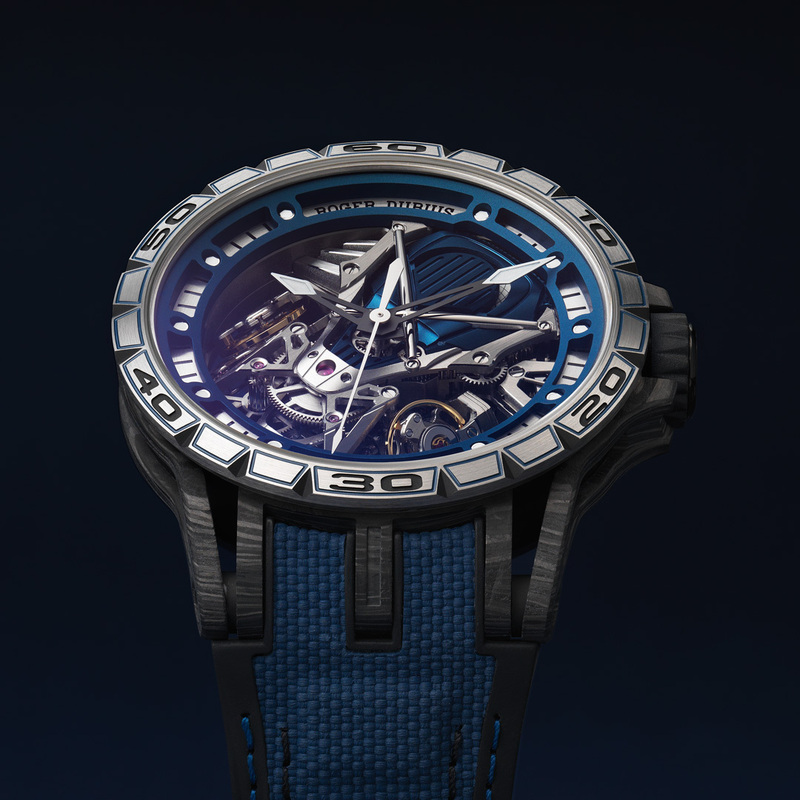 WatchPro traveled to Zurich to see the pop-up installation, which was used to launch new Roger Dubuis Blue Editions in conjunction with Lamborghini Squadra Corse, a partner of the watch brand. The Blue Edition Excalibur Aventador S, which is limited to just eight pieces, borrows design elements from the car and are on sale for CHF 242,000. The super car company has also customized a single Aventador S, which can be seen at Zurich Airport. The car and watch can be bought together for a combined price of CHF 888,000, a figure that uses Bucherer’s favorite number eight that refers to its founding year of 1888.